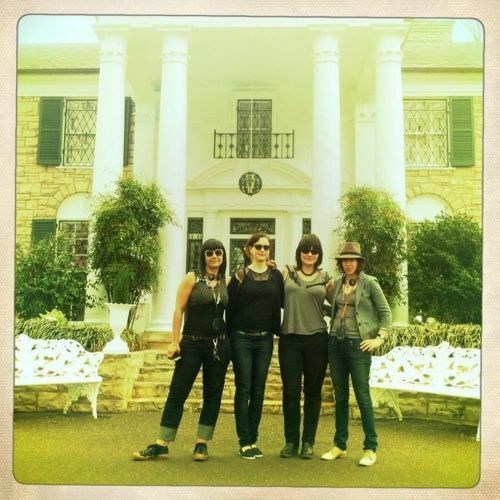 The ladies of hard-rocking indie supergroup Wild Flag. It’s safe to say that every era has its amazing all-girl bands. The ’60s brought The Ronettes with their matching hairdos and harmonies; rebellious rock bands like The Runaways and Siouxsie and the Banshees ran rampant in the ’70s; the ’80s gave us upbeat pop ensembles like The Bangles and The Go-Gos and the rabble-rousers of the ’90s—think Bikini Kill and L7—provided the universal soundtrack to teendom. 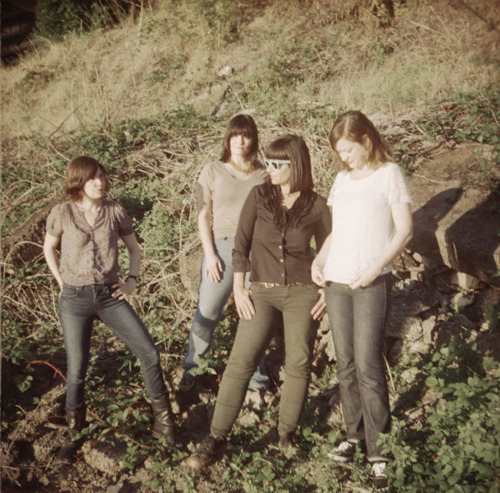 So when I heard about Wild Flag, an all-girl rock band founded by former members of Sleater Kinney, The Minders and Helium, I went crazy (in a good way). 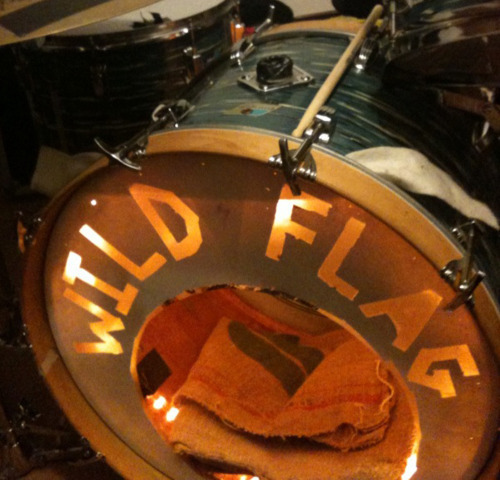 For those who, like me, have grown a bit weary of the mellow, shoegazey melodies dominating the airwaves nowadays, Wild Flag signals a return to good old-fashioned rock—the kind that makes you want to jubilantly thrash about on the dance floor. Evidence? Check out the video for “Romance” below (it’s hilarious too). Before they hit the road, three of the Wild Flaggers shared some of their own personal and hometown favorites. How many records do you own? 367? Biggest misconception people have about DC: We all work for the government. Top coffee shop: It’s a tie between Stumptown on Belmont and Cellar Door on 11th. Record store: Exiled Records rules! Five current inspirations: Poetry of Matthew Dickman, Crystal River in Colombia, Thee Oh Sees, the virtuosity of pianist Alicia de Larrocha and the possibility that neutrinos in the Large Hadron Collider have traveled faster than the speed of light. What you miss most when you’re on tour: The food. You have to work hard to get a bad meal in this town. Biggest misconception people have about Portland: That it doesn’t have a sense of humor. This entry was posted in Uncategorized and tagged fiorella valdesolo, wild flag. Bookmark the permalink.